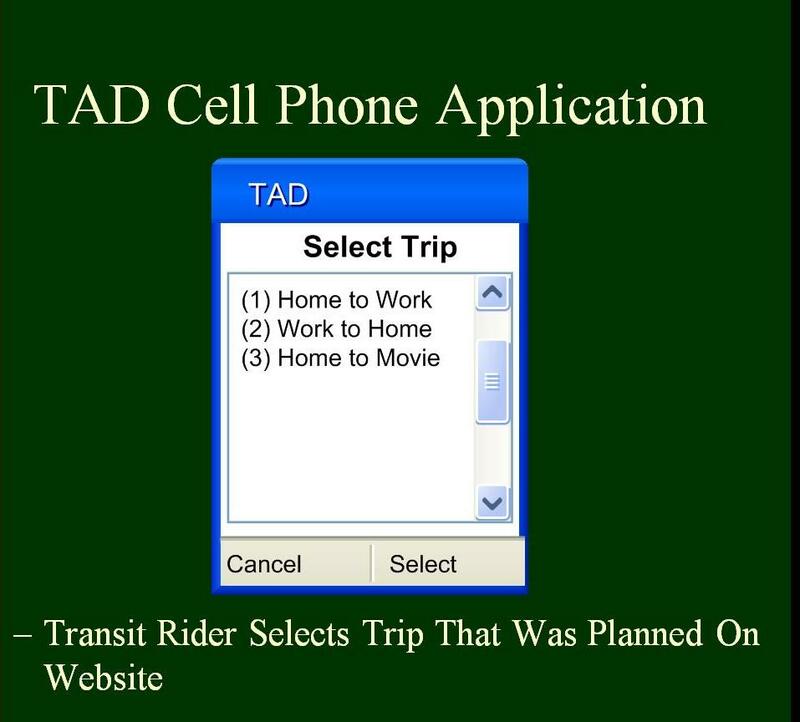 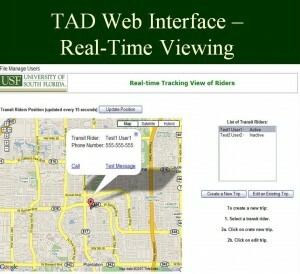 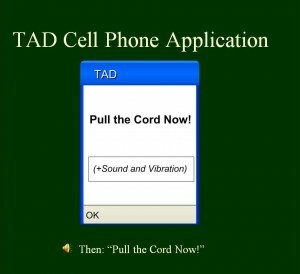 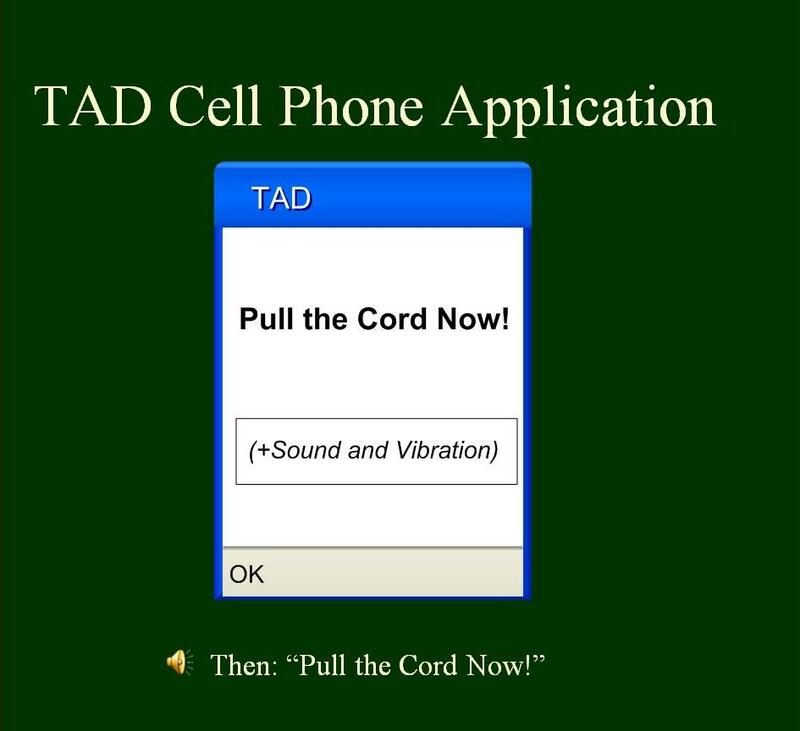 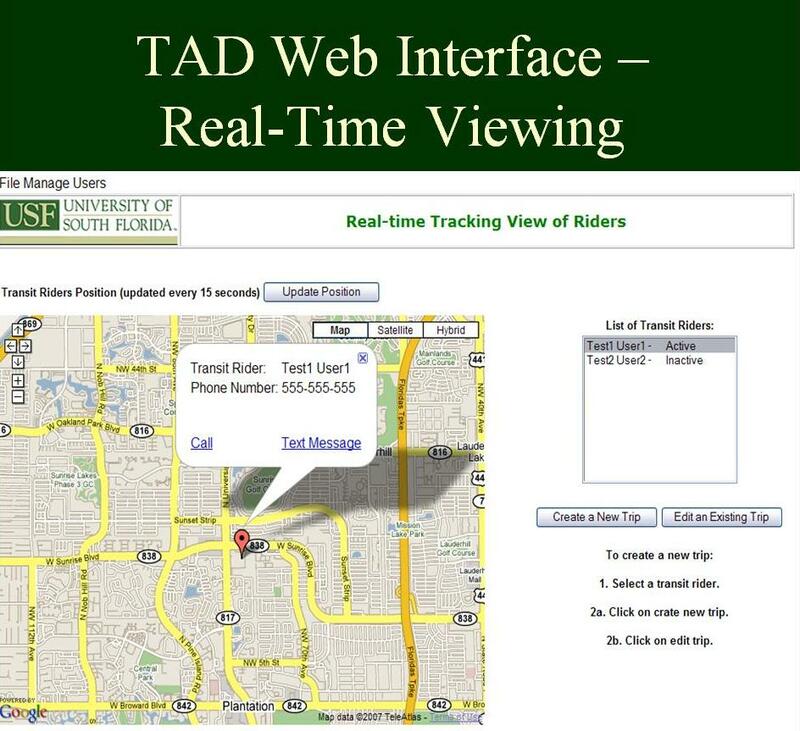 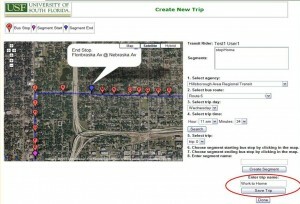 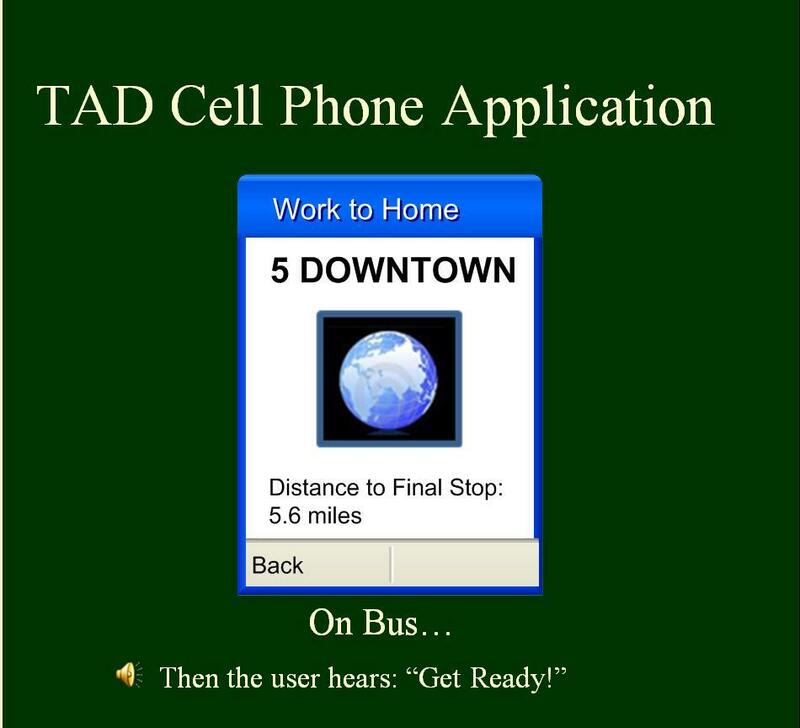 Using the TAD Mobile Application and Using the TAD Web Application. The transit rider selects the trip previously planned on the website. 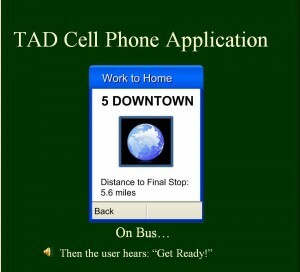 The transit rider hears “Pull the Cord Now” and the phone vibrates.